A masterful achievement: a joint coming-of-age story and an achingly poignant portrait of the strange, painful, ultimately life-sustaining bonds between sisters. Lark and Robin are half-sisters whose similarities end at being named for birds. While Lark is shy and studious, Robin is wild and artistic. Raised in Montreal by their disinterested single mother, they form a fierce team in childhood regardless of their differences. As they grow up, Lark excels at school and Robin becomes an extraordinary pianist. At seventeen, Lark flees to America to attend college, where she finds her calling in documentary films, and her sister soon joins her. Later, in New York City, they find themselves tested: Lark struggles with self-doubt, and Robin chafes against the demands of Juilliard. Under pressure, their bond grows strained and ultimately is broken, and their paths abruptly diverge. Years later, Lark’s life is in tatters and Robin’s is wilder than ever. As Lark tries to take charge of her destiny, she discovers that despite the difficulties of their relationship, there is only one person she can truly rely on: her sister. In this gripping, unforgettable novel about art, ambition, sisterhood, motherhood, and self-knowledge, Alix Ohlin traces the rich and complicated lives of two indelible women. 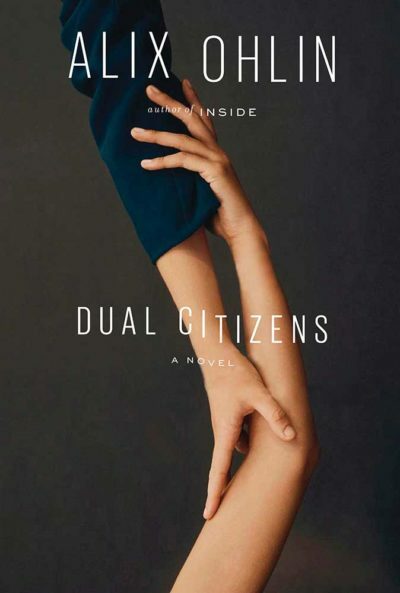 Dazzlingly insightful and beautifully crafted, Dual Citizens captures the unique language of sisters and makes visible the imperceptible strings that bind us to the ones we love for good.